Do you want to give your windows a new look? Custom handmade crochet valance or window treatments look nice and are great for pulling off the perfect look to create in each room of your home. 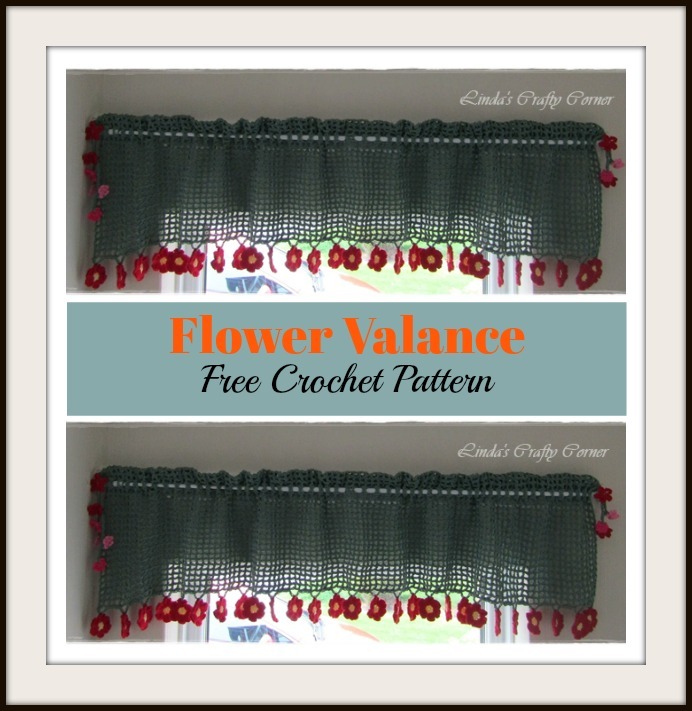 This Flower Valance Window Curtain Free Crochet Pattern will definitely brighten up your home. This amazing short curtain is really easy to make and very fast. It can be made to fit any size window and with any choice of yarn. The flower design will bring a lively, fresh, spring vibe all year round and perk up your decor. This pattern is a perfect crochet project for beginner crocheters looking to create crocheted home items for their abode. Happy crocheting. 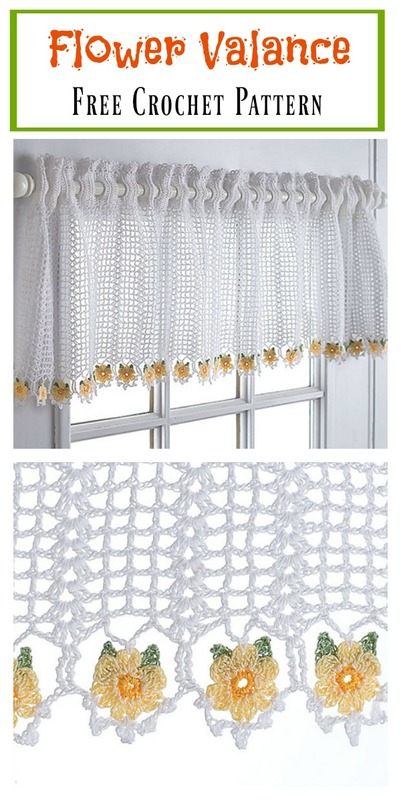 You might also like DIY Adorn Your Window with a Flower Crochet Valance.